Muzeum ceskeho granatu is located in Prague. Use our Prague online sightseeing planner to visit Muzeum ceskeho granatu on your trip to Prague, and learn what else travelers and our writers recommend seeing nearby. Our visit to Prague was spectacular, more beautiful than we thought. Andrea Museum saleswoman helped us a lot to understand the richness of the Garnet through all your explanations, in addition he gave us information that allowed us to see corners of Prague that only the Czechs themselves know. I recommend you go to the Museum of the Garnet will grasp much of jewelry made with these stones. This small utility room adjacent to a small jewelry store. Why is it called loudly "Museum". Before the start of the tour "you see on tv is a short movie on how to extract pomegranate. Then "Guide" (part-time seller) gives you a tablet with a description of all the exhibits. Helpful exposition will take you not more than 7 minutes. Ticket without cheap-250 EEK! The store itself, by the way, Nice. And here's to spend money on such a "Museum" I do not advise. 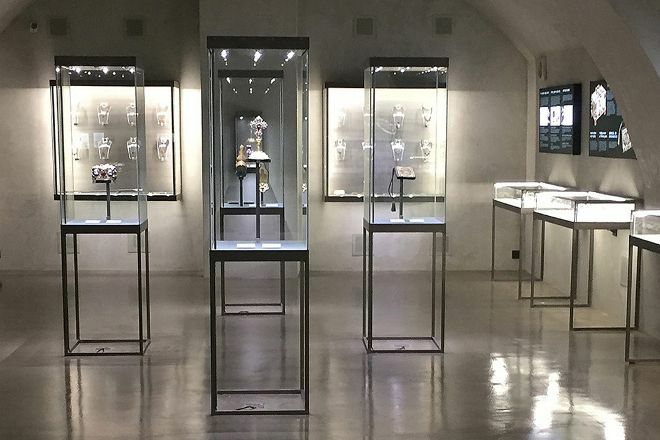 Muzeum českého granátu s prodejem, nabízí exkluzivní šperky, které nejsou hned tak k vidění. Nabízí šperky nové, ale i historické, všechny jsou krásné. Museum of Czech garnets with the sale, offering exclusive jewelry, not just to see. Offers jewelry both new and old, all are beautiful. Součástí je obchod s velmi slušnou nabídkou šperků s originál českým granátem, novodobé i starožitné, krásné exponáty v muzeu - šperky, které dnes již nikde jinde neuvidíme. Podíváte se a ještě dobře nakoupíte. 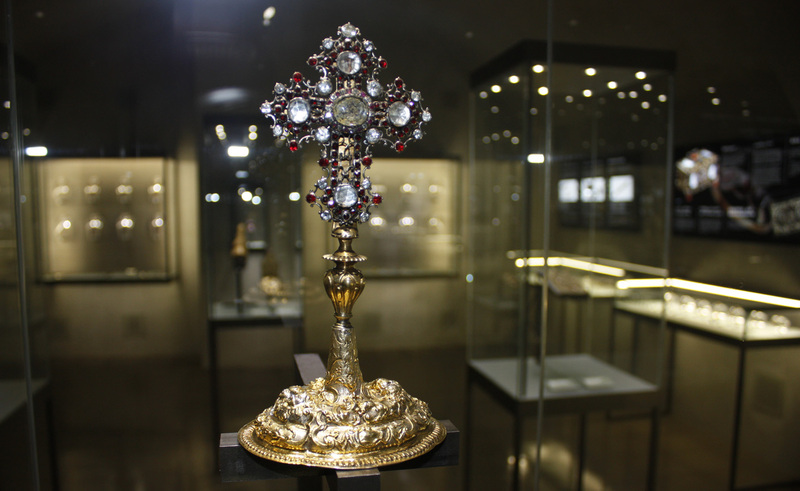 Part of it is a shop with a very good selection of jewelry with the original Czech garnets, the modern and the antique, beautiful exhibits at the Museum-jewelry that today we will not see anywhere else. Look and still good. Zajímavá expozice s krásnými šperky. Mimo to si můžete v klidu z blízka prohlédnout Českého slavíka! I pro pány se najde mnoho zajímavostí jako průběh těžby, historie a všechny možné druhy granátů. A kdyby se přec jen nudili, mohou vám zakoupit šperk. :) Vřele doporučuji. Interesting with beautiful jewelry. In addition, you can see in the rest of the Czech Nightingale! Even for men, finds many attractions such as the progress of the extraction, the history and all the possible types of grenades. And yet, if just bored, you can buy a piece of jewelry. :) I highly recommend it. Hezké muzeum! Mají tu i prodejnu. Byli jsme spokojení. Nice Museum! There is also a shop. We were satisfied. Výstava krásných historických šperků, ryze český produkt. Doporučuji! 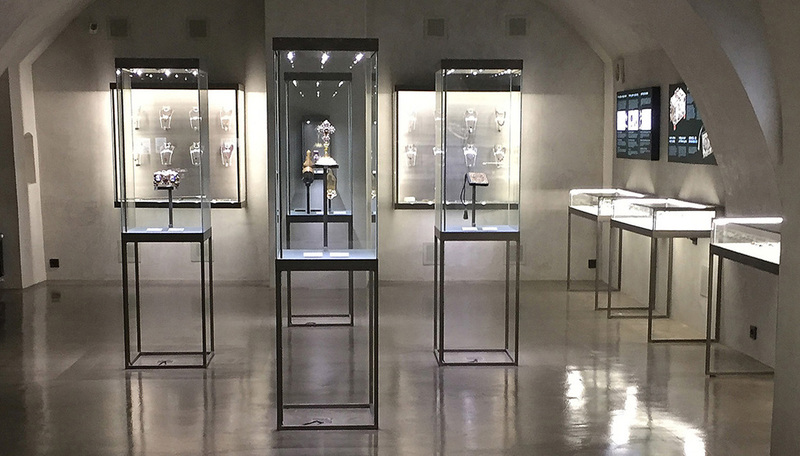 Exhibition of beautiful historical jewelry, purely Czech product. I recommend! Every day, we help thousands of travelers plan great vacations. Here are some tips on how to use your Listing Page to attract more travelers to your business - Muzeum ceskeho granatu. Promote your permanent link - https://www.inspirock.com/czech-republic/prague/muzeum-ceskeho-granatu-a3400865497 - on your website, your blog, and social media. When a traveler builds a plan from this page, the itinerary automatically includes Muzeum ceskeho granatu. This is a great way for travelers looking for a great vacation in your city or country to also experience Muzeum ceskeho granatu. Promoting your link also lets your audience know that you are featured on a rapidly growing travel site. In addition, the more this page is used, the more we will promote Muzeum ceskeho granatu to other Inspirock users. For best results, use the customized Trip Planning Widget for Muzeum ceskeho granatu on your website. It has all the advantages mentioned above, plus users to your site can conveniently access it directly on your site. Visitors to your site will appreciate you offering them help with planning their vacation. Setting this up takes just a few minutes - Click here for instructions.